Weimar was founded in 1873 when T. W. Peirce, president of the Galveston, Harrisburg & San Antonio Railroad, built a depot here on property of D. W. Jackson (1829-1904). Peirce and Jackson shared the profits from sale of town lots. Before the coming of the railroad, transportation had posed a major problem for this area. Named for a German town that Peirce admired, Weimar quickly became a leading trade center. The first depot was replaced in 1925 by the present structure. In 1972 the Southern Pacific Railroad donated the building for use as the Weimar Public Library. 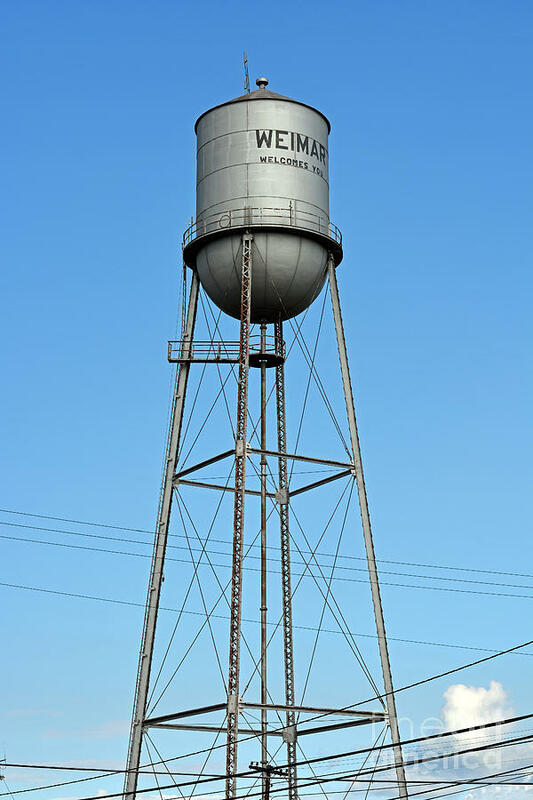 When you think of Weimar you think of majestic Oak Trees and beautiful water features from live creeks to large ponds. If you look through our website you will find large acre ranches to small quaint homes and the location is perfect for someone that commutes from Houston or San Antonio looking for life in the country.